If you have nails that are less than clear and bright, it can get to be an embarrassment. Dirt, polish, semi-permanent hair dyes, smoking, genetics and even health problems can all lead to discolored nails. If your nails are becoming very yellow and brittle, it might be a sign to get it checked by a doctor. But for more mild nail discoloration, below are some ways to lighten nails at home will get them looking clearer and whiter. 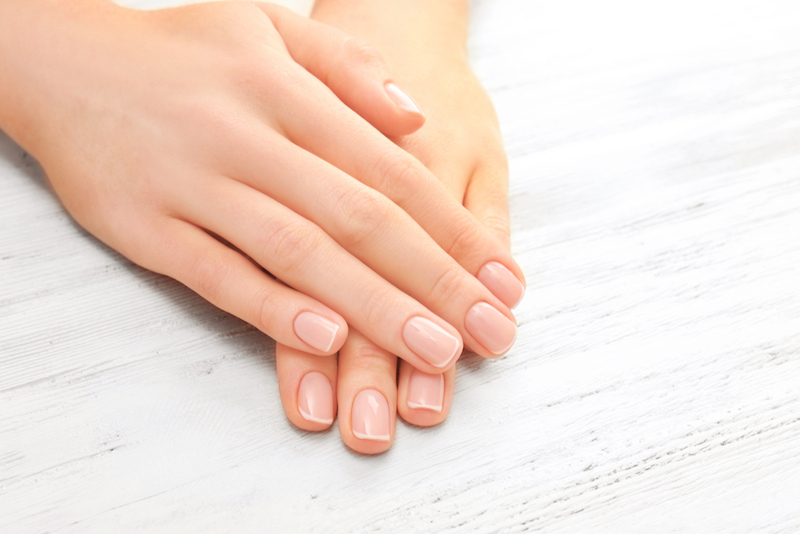 Just note that these ways to lighten nails may take a few applications daily to see results. If you’ve tried to remove nail polish with remover, another simple go with it might be required. Really scrub at it with a wipe or cotton ball coated in the remover for a good 30 seconds. Add a splash of distilled white vinegar to a cup of water, then soak your nails for five to 10 minutes. This one seems downright unsexy, but the same ingredient that whitens dentures can lighten nails. Follow the label to dissolve the denture tablet in water completely, soak your nails for several minutes and then rinse. If your yellowed nails are due to a fungal infection, tea tree oil is a popular home remedy. You’ll apply the straight oil to your nail beds, leave it on for a few minutes, rinse and repeat twice per day until clear. Toothpaste doesn’t just whiten teeth. Apply the toothpaste to the nail evenly and let it sit for around 10 minutes. Baking soda is usually combined with other ingredients. One popular method is to combine baking soda and olive oil. Mix until a thick paste is formed, apply to the nail and leave on for a couple minutes. Repeat as often as needed. One of the most popular home remedies for a host of ailments, lemon juice is a great way to naturally lighten anything. It’s even used on dark spots and can even lighten hair. Using lemon is one of the great ways to lighten nails: rub a freshly sliced lemon directly on the nails for a minute or so, or soak your nails in a bowl of fresh lemon juice for about 15 minutes. You’ll want to be careful when using hydrogen peroxide, as it can be very potent, but it is also one of the best ways to lighten nails. Mix a few splashes of 3 percent hydrogen peroxide in a half a cup of water. Mix well and soak your nail for a couple minutes. If you need the tips of your nails to look more white right now, and some of the above methods aren’t working immediately, you can always get a nail pencil that adds white to the tips of the nails.